Cerberus Capital Management announced that one of its affiliates has entered into an agreement with TE Connectivity under which Cerberus will acquire TE's Subsea Communications business (SubCom). Headquartered in Eatontown, New Jersey, SubCom is a leading global supplier of subsea communications systems with approximately $700 million in revenue, based on fiscal year 2018 expectations. The business designs, manufactures, deploys, and maintains the subsea fiber optic cable systems that are vital for global communications. To date, SubCom has completed more than 100 cable systems and deployed over 610,000 kilometers of cable through its eight high-performance cable ships, which are among the most efficient and capable in the industry. SubCom, supported by approximately 1,400 employees, has a strong customer base of leading internet content providers, telecommunications companies, and entrepreneurs around the world. "SubCom is a recognized pioneer in the subsea fiber optic cable industry with a long track record of technology innovation and excellent project management and customer service," said Michael Sanford, Co-Head of North American Private Equity and Senior Managing Director of Cerberus. "The industry-leading solutions and services that SubCom delivers will become even more critical for global companies as demand for data and connectivity continues to grow rapidly. Through this investment, SubCom will become an independent, standalone business that is well-positioned to capitalize on the significant growth opportunities ahead." Sanford continued, "We look forward to partnering with the talented SubCom employees and leveraging our operational expertise and resources to deliver innovative, integrated, and reliable solutions to meet the needs of SubCom's global customers." 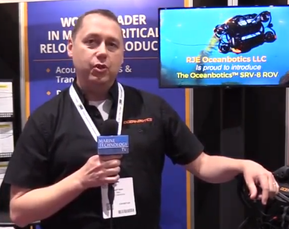 "The SubCom business is a leader in the undersea telecommunications market, and distinctly different from the rest of TE's connectivity and sensor portfolio. We are pleased that with this transaction we increase our focus as a leading industrial technology company. It strengthens our business model; resulting in a stronger growth profile, reduced cyclicality, higher margins and a greater return on investment," said TE Connectivity CEO Terrence Curtin. "We appreciate the contributions that the SubCom team has made to our company and toward building a more connected world, and we expect that they will continue that important work in the future with Cerberus." The transaction is subject to customary closing conditions and is expected to close in the fourth quarter of 2018. Kirkland & Ellis LLP is acting as legal advisor to Cerberus. Goldman Sachs, Barclays, Credit Suisse, and Jefferies are acting as financial advisors to Cerberus and providing committed financing for the transaction.